The endearingly illustrated Jurassic Classic series uses humorous, prehistoric dinosaur mashups as a creative way to introduce and explore nonfiction and history. 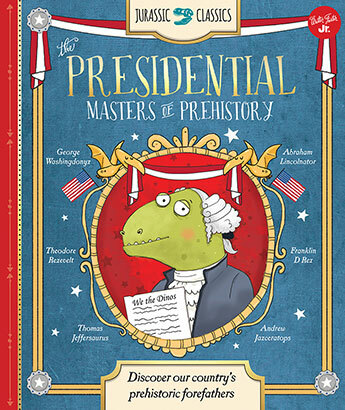 With a mix of dino puns and fun wordplay, The Presidential Masters of Prehistory features six famous presidents and explores their lives and contributions as dinosaurs, including George Washington, Thomas Jefferson, Theodore Roosevelt, and Abraham Lincoln, or Abraham Lincolnathus as the dinos might say. 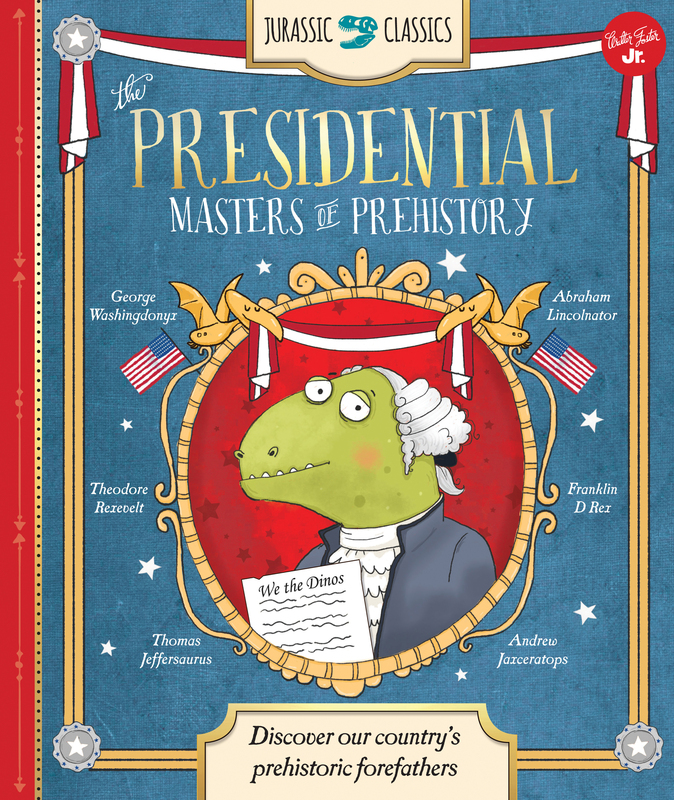 Each prehistoric president featured in the book includes a brief biographical history with a prehistoric twist, as well as a clever parody on each president's most famous contributions to our nation's history.